I am so fortunate to have had the opportunity to visit the Konesco crew for a second time this summer. I had such a blast with them in the Bahamas and I did not want to miss out on the chance to go to Costa Rica! 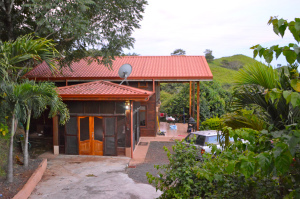 When I first arrived I was stunned by the lush green scenery and the beauty of the family’s new home. The first night we had a lovely dinner of rice, chicken and black beans out on the front porch. 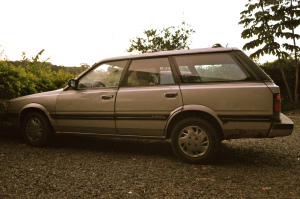 The next morning, we all piled into the good old Subaru and headed to Hotel Hacienda Guachipelin, where we were going to spend the next few nights.